Here is our display board in the computing suite and some examples of work we have done. The eCadets delivered a lesson where the children were asked to create an online safety superhero! We are currently in 2nd place in the eCadet league table. This is out of 3200 schools across the country! What have the eCadets been up to? We created an e-safety leaflet, which was emailed to all the parents! Click on the link underneath the leaflet to download it. The eCadets helped Mr Shaw in his anti-bullying assembly today, where they talked to the whole school about the dangers of cyber bullying. They also reminded the children who they should speak to if they are being cyber bullied. 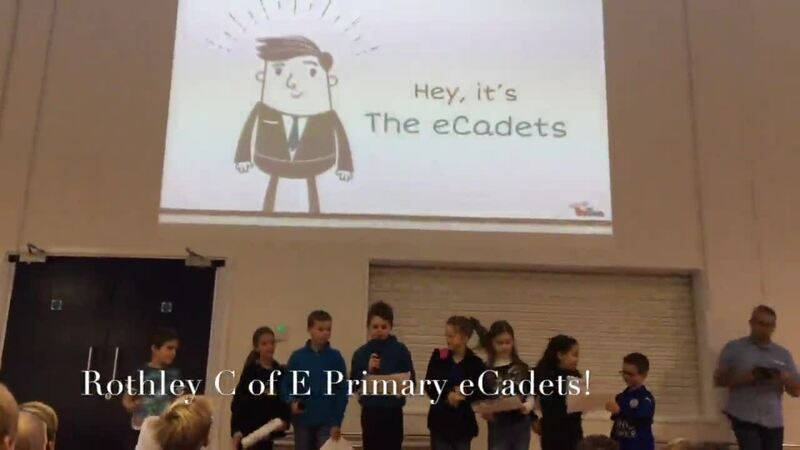 Here is a video of the eCadets in action! C an we stop cyber bullies? S afety is the key to fun! Do you have any concerns about something you have seen or something that has happened when using the internet? If you have, please fill out the form and one of the eCadets will be sure to help you out! Alternatively, you can speak to one of the eCadets in person.